In order to ensure maximum safety on your trampoline, do not forget to change your frame pad if it is damaged. The frame pad protects users from the springs and will allow them to enjoy themselves confidently. 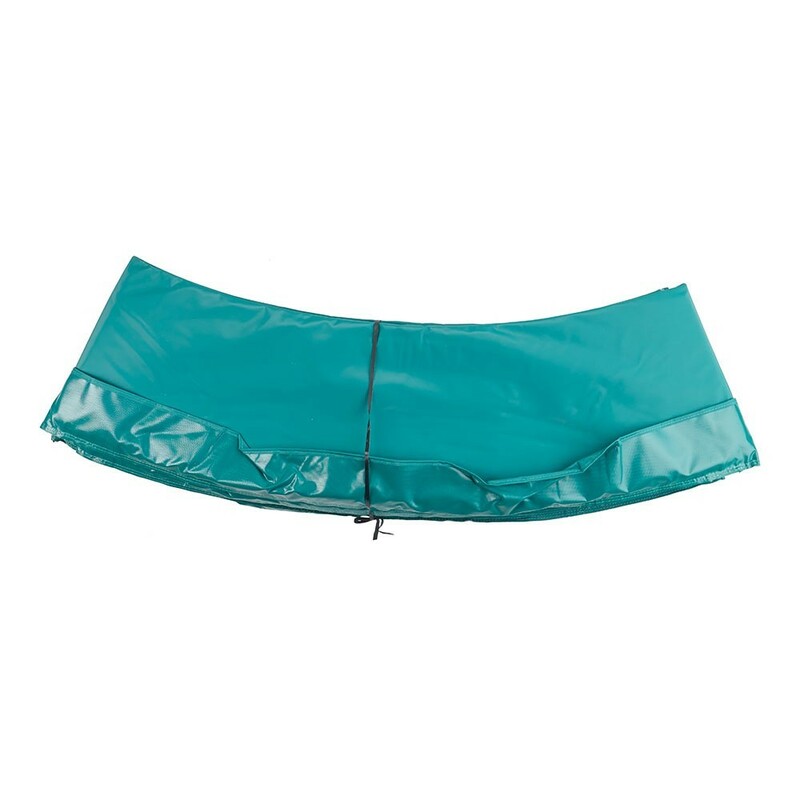 This green frame pad is perfect for your round 3.66 m in diameter trampoline with 230 mm long springs. 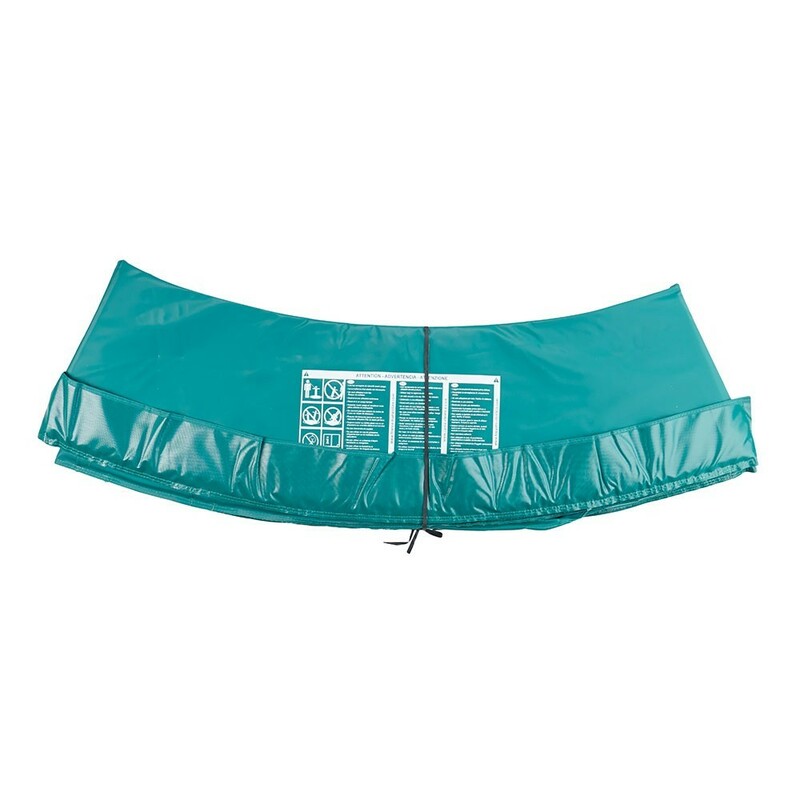 - This spare frame pad is designed for the Booster 360 trampoline but can be adapted to all round trampolines, if they have the same characteristics (same diameter and spring length). Before ordering, measure your trampoline carefully, taking the measurements from outer edge to outer edge of the steel framework. - This frame pad is made out of a very resistant foam monobloc of expanded polyethelyne, otherwise known as EPE. 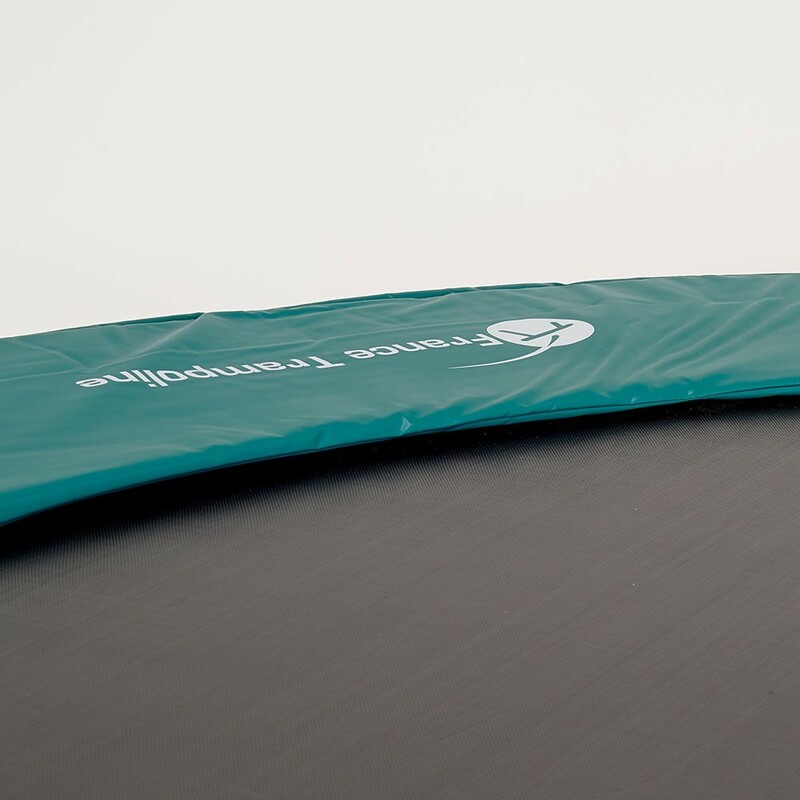 This 31 mm thick foam for safety and comfort, is very flexible and waterproof and will allow you to leave your trampoline outside all year round. - Contrary to most frame pads on the market, France Trampoline's frame pads are made out of a single layer of foam. This conveys a higher resistance to repeated shocks. 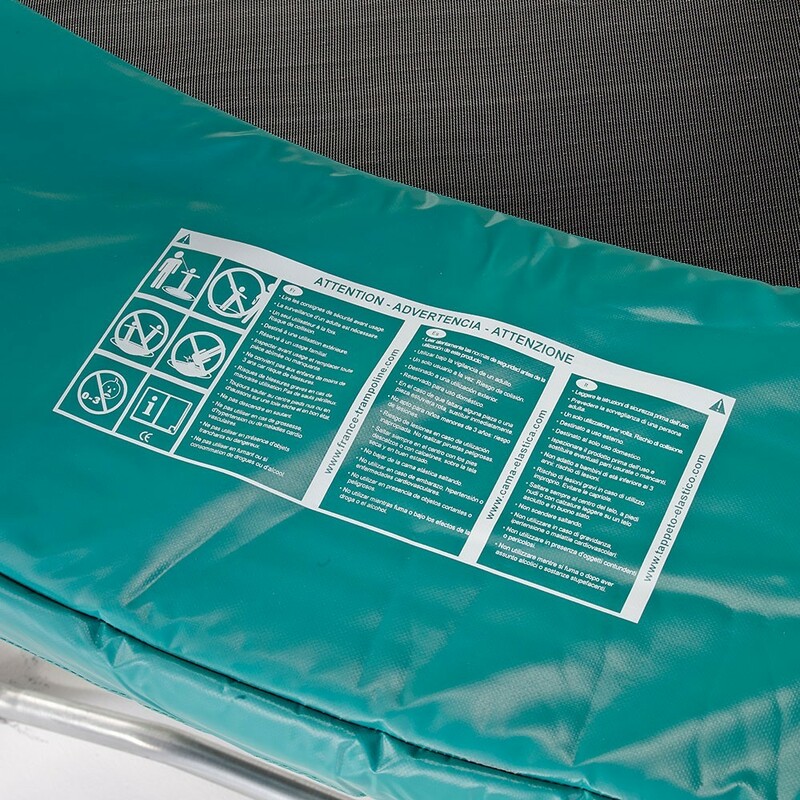 - Our frame pads are covered with a high density, green PVC material, conveying excellent protection. Thick, heavy and UV-protected, this layer of PVC guarantees a high level of resistance over the years. 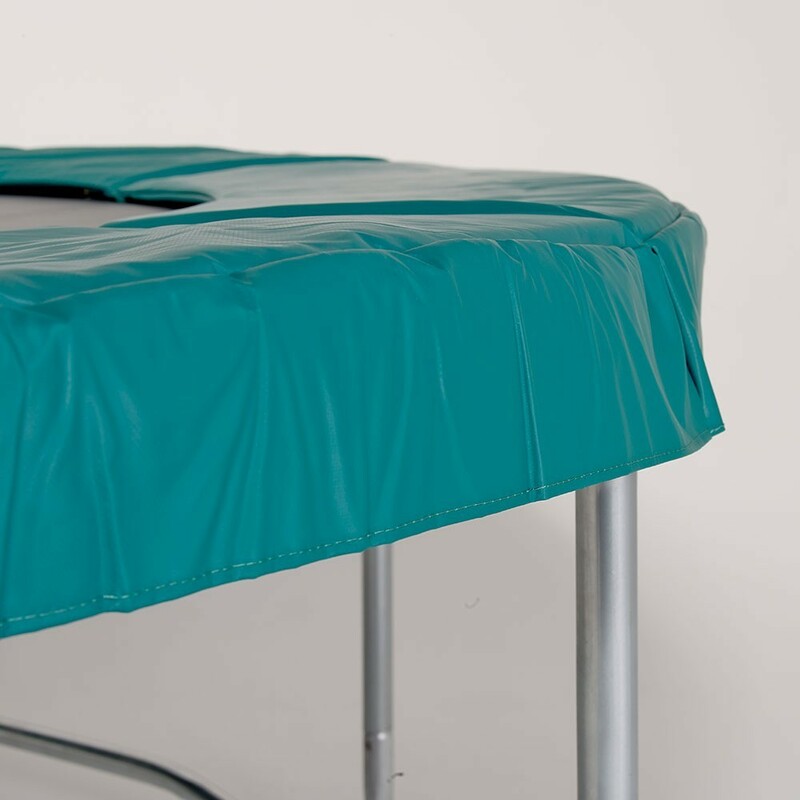 - Eyelets, placed on the underside of the frame pad and a set of elastics will allow you to hold the pad firmly in place, close to the springs, but also allowing enough space to avoid any friction. If the springs rub the PVC, it will desintegrate quicker. This round 3.60 m trampoline frame pad is delivered with 16 elastics.